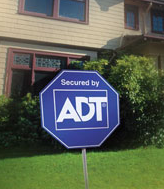 ADT has filed a lawsuit against Vision Security Systems, a provider based out of Utah. The lawsuit was filed because ADT is alleging Vision employees are trained to use deceptive sales practices to gain customers. According to ADT, Vision Security Systems sales representatives were claiming to offer a free upgrade. ADT claims that these promises are part of a scam. Claudia Williams says she and her dad were one of those victims, according to a report done by KVUE. She claims a Vision employee tricked her 83-year-old father, who suffers from dementia, into switching his system last summer. She says the Vision employee told them it was a simple upgrade. Like Claudia Williams, there are other customers who are claiming to have had similar experiences with these door-to-door tactics. ADT references a video it has showing Vision supervisor, Brett Harris, training the new employees to lie. The Texas Attorney Generals office has received so many complaints regarding this same issue, so the office posted an instructional video on how to avoid being scammed.